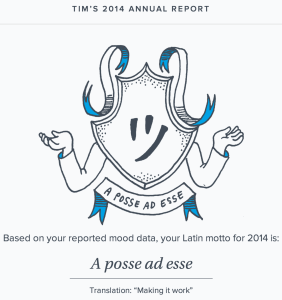 After answering a nine question survey, Warby Parker took that data and generated my very non-scientific (but very specific) personal annual report for 2014. Very silly. But they do make outstandingÂ eyewareÂ at great prices.